HTC’s Summer Sale Can Save You $300 Or More! It has been a quietly brilliant summer for HTC. After the questions surrounding the early 2017 device releases had subsided, the HTC U11 burst onto the scene and blew away just about everyone that touched it. Of course, the competition in the smartphone market this year is very tough, which means it is time to get aggressive to keep those sales up. 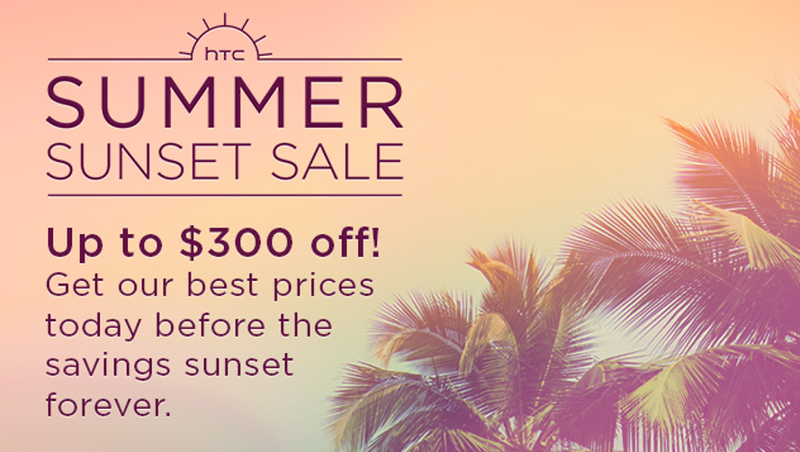 HTC’s Summer Sunset Sale does exactly that, prices some amazing handsets at unheard of prices. Starting off the deals, we have two of the heavyweights running the Snapdragon 820 processor, the HTC U Ultra and the HTC 10. Both of these devices are worthy of the ‘flagship’ title and both still pack more punch that most sub $500 smartphones on the market today. The U Ultra features that amazing Ultrapixel Selfie Cam and that handy secondary display on the front to make your battery last all day. It also has the same USonic Audio feature that the U11 came with and – wait for it – Uh Oh protection. This covers against just about anything you can do to the device with a simple swap out. The 2016 Flagship, the HTC 10 has also taken a reduction for the summer. The 10 has been said to feature one of the best digital audio converters in the business and it’s front facing camera also has image stabilization, making it a favorite among video bloggers – yes it even stabilizes video shooting! The U Ultra is a whopping $250 off the original MSPR and the 10 is an even bigger $300 off, bringing it down under the $400 mark. There are also a number of accessory purchases on sale during the Summer Sunset Sale. 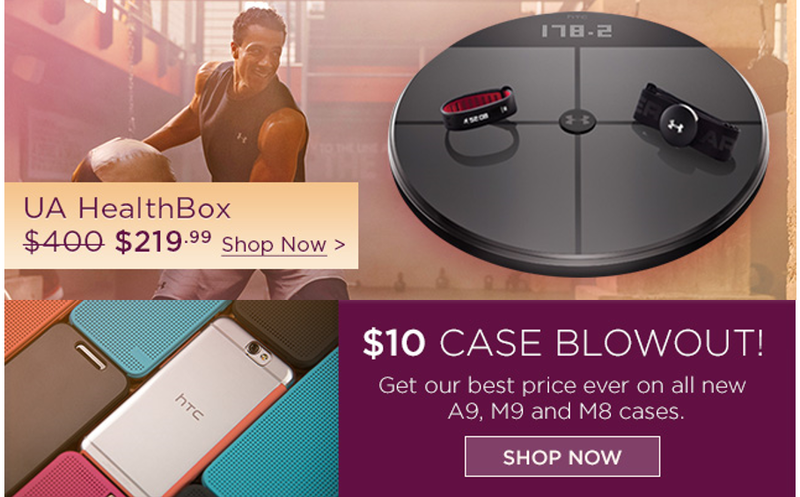 The Under Armor HealthBox has dropped to $219.99 and select HTC M8, M9 and A9 cases are all a flat $10 each. For the record, the UA HealthBox is a steal at this price point. Having tested out the band, it works very well as a notification device and fitness tracker. Adding the heart rate monitor and smart scale is just the icing on the cake. This setup was originally $400, making the $219.99 price about 50% off. The cases are also a great deal for anyone still rocking the M8, M9 or A9. You get the HTC quality cases for about the same amount you would spend on a decent Amazon case. That’s a top notch deal right there for those using older handsets. Finally, there’s the deal that everyone has been waiting on, the HTC U11. First off, we’d be bummed if we forgot to mention one more time that the U11 is not available in the 6/128GB setup from HTC in the unlocked form. This is a HUGE device and will serve you well into the future. The $729.99 price point keeps it in the realm of affordable as well. 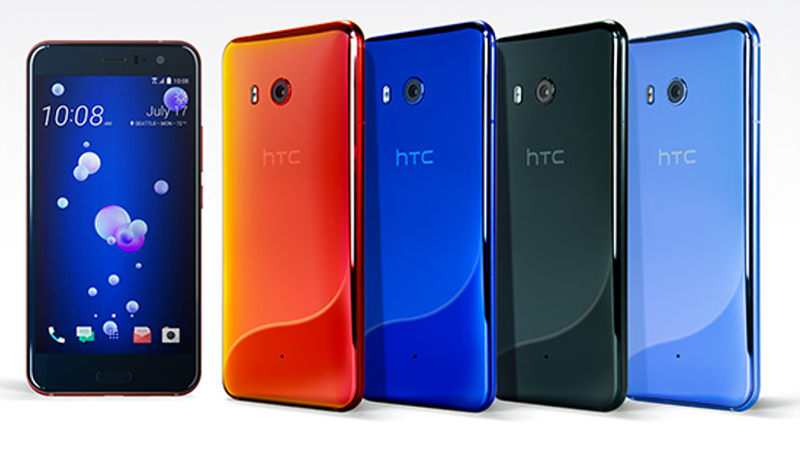 To sweeten the offer a bit more, you can use code GOHTCU11 to save an additional $50 off the 4/64 or 6/128 models. This makes it a lowly $599.99 for the standard U11 and $679.99 for the upgraded version. No matter which device you choose, getting up to $300 off a top notch device is tough to beat. If you’re in the market for that amazing new device that will last you for the next 2-3 years, go check out this sale. Previous Post When The Best Phone In The World Gets Better!